When one needs more than merely carnage, it’s time to bring in the supreme carnage. Jokes aside, it is the type of name that can set up some expectations when you take things a bit literally (and of course, analyze each band name after years of discovering new ones). 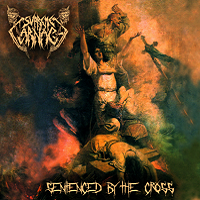 While the band’s third full-length may not really reach ‘supreme’ levels of carnage, it’s an enjoyable death metal romp that checks off all the boxes with glee. The German death metal tank that is Supreme Carnage takes the quintessential parts of the genre and does them well. They never go too far into any of the extreme areas, like technicality or speed, instead focusing on good old fashion brutality. Mid-paced, Scandinavian, and groovy in tone, it’s the type of death metal that easily gets stuck in your head with the upfront riffing and dominant vocal presence. Sure, it’s well-worn by this point, but that’s certainly for a reason. 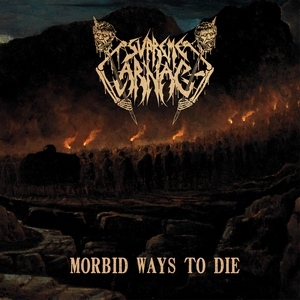 Morbid Ways to Die kicks things off with stomping riffs and catchy melodies in “The Fire Prevails” and never reveals a weakness. Dynamic tempo shifts, just enough melody to stay in the catchy zone without sacrificing aggression, and bellowing roars await with each track, and at 40-minutes, it never drags on. It’s rounded out by a production that keeps things chunky while maintaining balance – the melodies are given the treatment that they need yet the band fire off destruction as desired. Proof that there’s always room for some well-rounded death metal, Morbid Ways to Die executes the formula with ace results. Supreme Carnage fit the bill for anyone looking for weighty death metal that can pack a melodic crunch.